I would like to dedicate this painting to my dear friend Bruce Combs, as he is the source of inspiration for it. 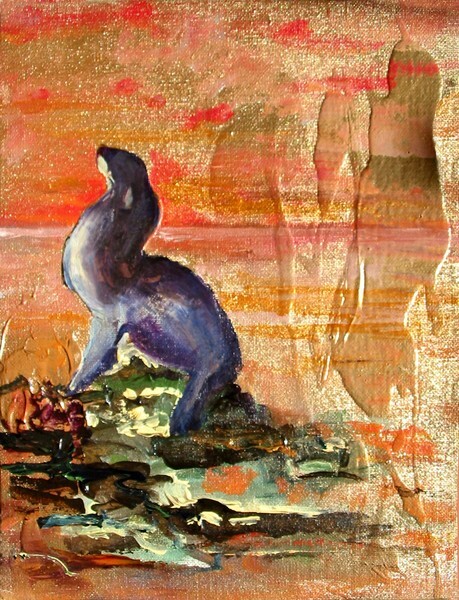 This sea lion is painted over a painting that Bruce sent to me. 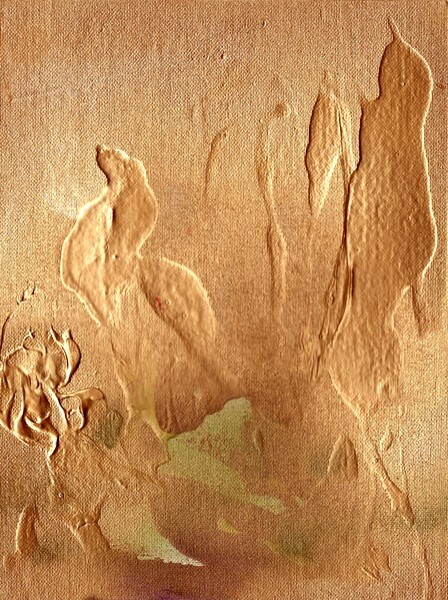 When it arrived it was a beautiful 'golden' painting with wonderful textures on it. Bruce thought it would be fun to do a painting together and asked me to paint 'something' on the golden canvas. He was so right! I had a lot of fun making this! With this painting I would like to express my admiration for all the efforts he makes to help all living creatures in need on this planet. With this painting I also would like to ask you to help to save the seals. Anneke, unique, magical and amazing. As always, I admire you SO much. Artist Reply: It was real fun to work together with Bruce. Many thanks, Anne! Artist Reply: Thank you, my friend! Artist Reply: Thanks a lot, John!! That is really beautiful ! Love it ! Magical !